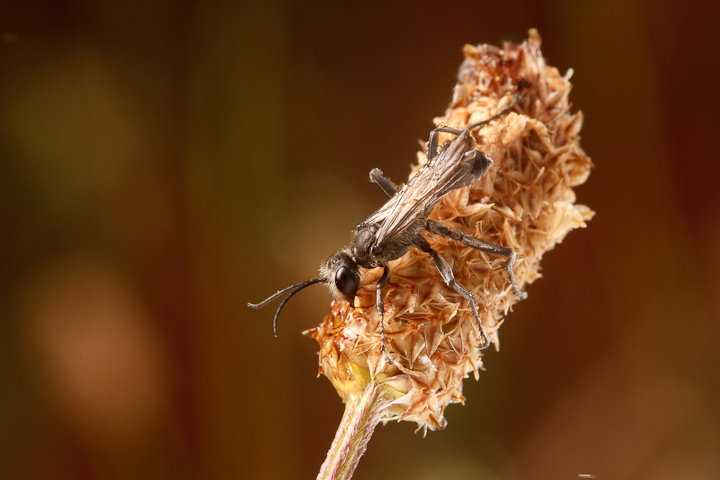 In addition to the bundles of sleeping bees I found at Iona Beach on Saturday, I also encountered some Ammophila wasps. Their name means “Sand Lover” and they are major predators of caterpillars in sandy habitats. They sting their prey precisely to paralyze it, then bury them in dungeons under the sand for their larvae to eat. 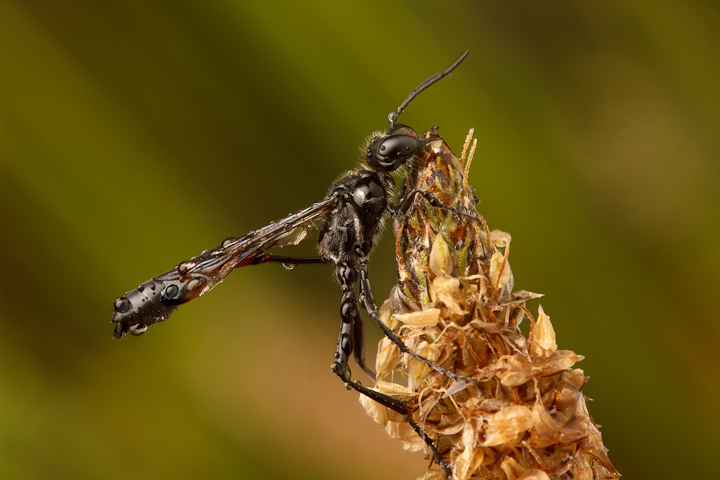 The wasps I was shooting were resting on various vegetation, especially stiffer dead flowerheads. The rain made for some beautiful texture and reflections. 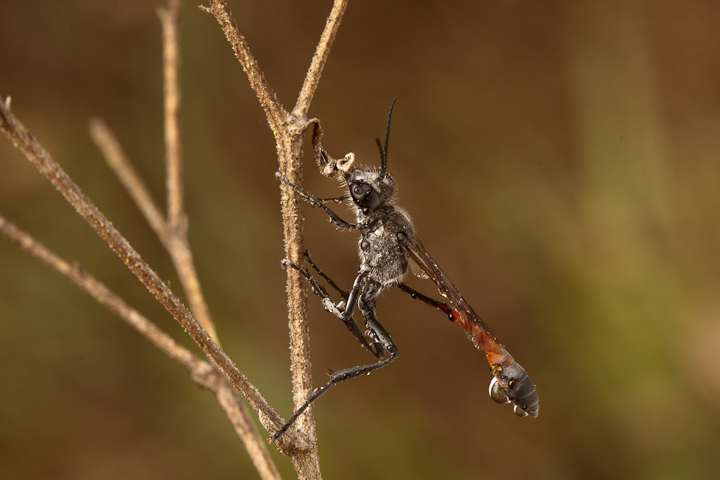 Most sleeping Hymenoptera I find seem to have a preference for dead vegetation. Perhaps this is less attractive to other animals and makes for a disturbance-free night? In addition, the dead twigs and flowers are often stiffer and don’t blow around as much. 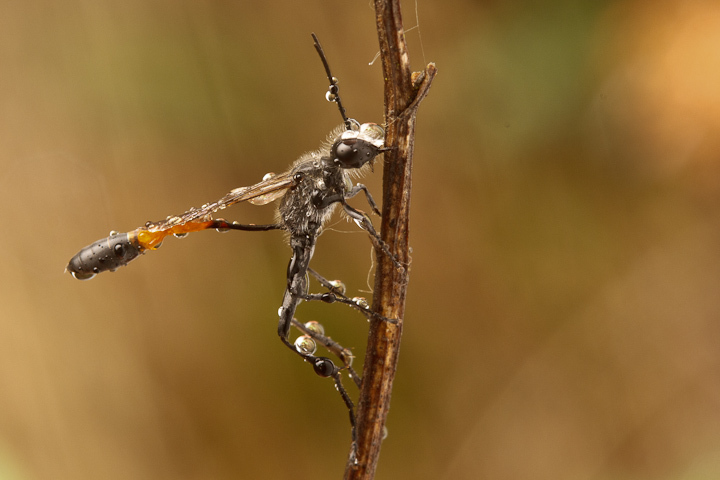 In sleeping mode, these wasps grasp tightly with their mandibles. If you disturb them, they quickly re-grasp the substrate rather than waking and moving. Here is one on a living plant. 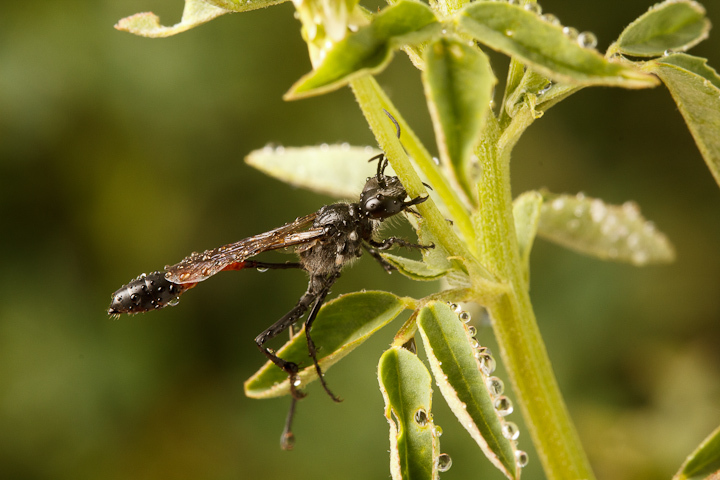 I like the way the droplets highlight the smooth abdomen. It can be a wet business sleeping in the rain. I suppose while they are sleeping they must shut down their grooming responses. 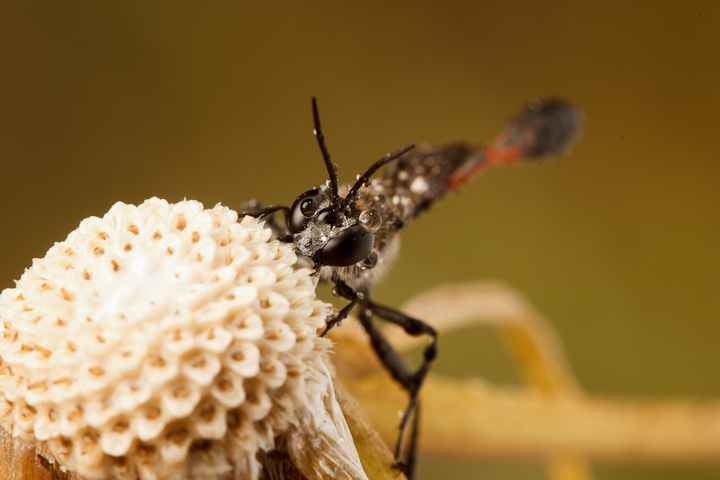 Here is another Sphecid, not Ammophila, but perhaps Isodontia? 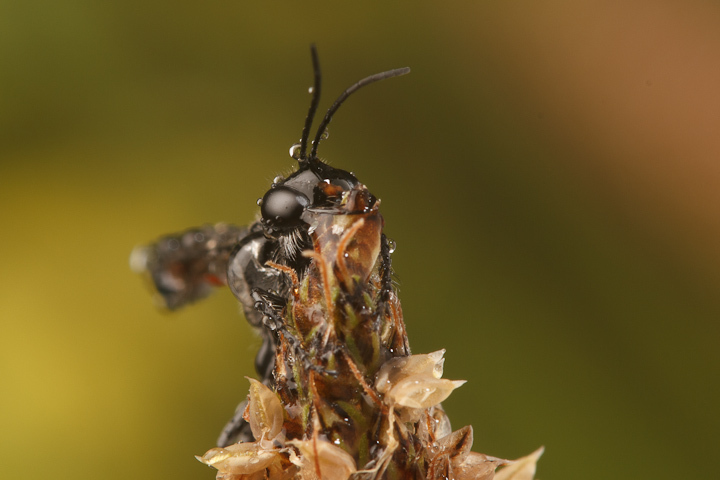 Tomorrow I will thrill you with some more sleeping hymenopterans…I have saved the best of them for last!